L&H Home Inspection Pros offers top-quality home inspection services to homebuyers and sellers in Northeast Florida. 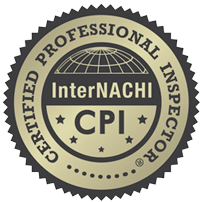 Our Certified Professional Inspectors (CPI)® are highly trained to ensure that each investigative home inspection will be an asset to every client. Drawing from successful careers in mortgage loan origination and property insurance, our inspections go a step beyond to satisfy your broader needs as a homebuyer and to protect your investment. We identify which inspections are required to secure homeowners insurance at the best price as well as any issues that may impact the ability to secure mortgage financing. Not only that, but your inspection will be performed by some of the best inspectors in the business! 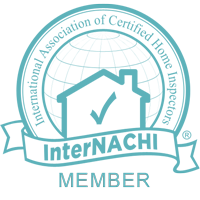 We adhere to InterNACHI’s strict Standards of Practice and Code of Ethics. Our residential property inspection is an investigative visual evaluation of most readily accessible areas of a home. Each inspection includes a thermal imaging scan whenever necessary to qualify suspected areas of moisture intrusion or energy loss, as well as aerial drone photography for examining inaccessible areas (such as steep or damaged roofing systems). Selling a home? Then a comprehensive inspection will be a valuable asset to a successful transaction. Before your home hits the market, we’ll thoroughly look it over to identify any issues. Whether you choose to schedule repairs or simply disclose any discovered defects to potential buyers, a Pre-Listing Inspection will strengthen the negotiating process by establishing open communication and trust. When you’ve invested in a brand new home, you deserve the peace of mind of knowing that the property is safe and sound. As the building process draws to a close, we’ll perform an unbiased and comprehensive third-party evaluation of the structure and any installed systems. If we uncover any issues during the inspection, you’ll have a chance to address them with the contractors while they’re still actively on-site. A 4-Point Inspection is a basic evaluation of four critical areas of a home—the HVAC systems, the roofing system, the electrical system, and the plumbing system. This inspection is often required by insurers before they’re willing to issue or renew a policy on an older home. If you or another party has scheduled for repairs to be performed on defective components that were identified by L&H Home Inspection Pros, it’s important to know that the repairs were done correctly. We’re more than happy to conduct a Re-Inspection so that you can be confident that the component in question is safe and functioning properly. Sometimes the weather can take a turn for the worse, but that doesn’t mean that you should fear for your home’s ability to hold up to the elements. There are countless wind mitigation methods that can drastically reduce the risk of damage to your home. We’ll carefully evaluate a property and report on which implements are in place—potentially qualifying you for numerous insurance credits if the home is adequately protected. Mold inside a home is an eyesore, a health risk, and culpable for costly expenses on the part of homeowners. We’re certified to test your home for mold proliferation and the moisture that harbors it—so that you have the information you need to begin the processes of eradication and prevention. L&H Home Inspection Pros looks ahead to the bigger picture to usher in a brighter future for you and your family as your prepare to buy a home. Contact us today to request your inspection.